Pictism are a Scottish folk duo, from opposite ends of the country. 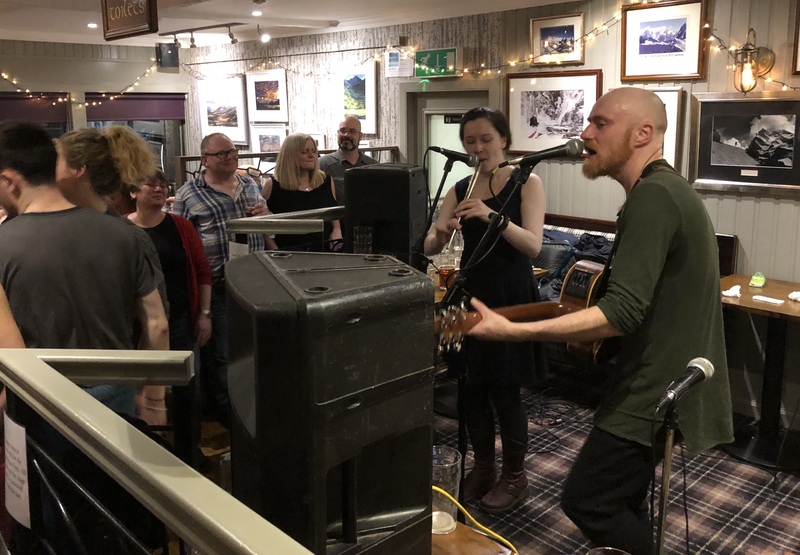 Lucy (vocals and tin whistle) comes from the enchanting Orkney islands and Tam (guitar and vocals) is from the vibrant little port town of Leith. Currently based in Edinburgh, where they perform at regular folk sessions and residencies, Pictism play a wide range of Scottish and Irish music, both traditional and modern, often adding contemporary covers with a Celtic twist to their sets giving them a unique sound and style. With an unmistakable sense of passion and love for what they do, their musical competence and individuality make their sets a very enjoyable experience for both folk purists and those new to the genre as a listener. From slow ethereal Celtic airs and ballads to rousing, foot stomping songs, jigs and reels, their sets have a little bit of something for everybody.